A vacant foot would splash across a small pond among a creepy and dark path winding through the forest. Maigo would pay no mind to the scene around him, though it had been so long since he'd come to this place, he was on a mission that he wouldn't drop so easily. A long time friend and ally who'd become the antithesis of Maigo's objection to the ninja world resided on this island, cruelty and rage made his chakra black and voidless like the night. So long ago had he forced Maigo into the cruelties of the ninja world along with him and made decisions that haunt his dreams to this very day. Killing his friends, damaging Maigo himself to a near irreperable point and leaving scars on his body that persisted to this very day and as it had been so very long, years since he departed from the village for Kumogakure no Sato and lived out a short time there. The Uchiha was ready to return and show himself no longer as a fledgling ninja that kicked and screamed against the rules placed over his head but instead had cultivated his rage into something far more dangerous and deadly. Maigo was no longer some dumb kid anymore, though he walked aimlessly and calmly through the forest, keeping his footsteps almost silent with little imprint, just enough that the most trained ear would need to focus on him to distinguish himself from the sounds of the forest. Maigo was fully armed and prepared with everything he needed, ANBU gear on as well as both of his pouches of ninja tools and large sword tied to his back with a windmill shuriken underneath it. His eyes dashed around to and fro as he tried to pick up the sights and sounds fo the forest again, marking it in his brain to compare the differences to this mansion from the last time that he had arrived. Winding tree branches that appeared more dead than anything littered above him like a makeshift canopy that had been consumed by a fire. There weren't really animals about making any noise so much as it would be equated to the sound of those animals dying, like creatures taking over and the wind that pierced through his peripheral and left nothing in the wake while pulling on the cloak that covered his person. His voice would echo and tumble throughout the area around him, like a gong that had been struck in a closed room. Elongated the ending syllable as he shouted out and held his hands towards his side, a pang of nervousness as he would aim to elicit a response from the beings within. Those golden eyes of Maigo would sit locked into the building and his ears trained for any sound existing outside of the shout that would be fading away in that moment. He would continue on ominously as he held his position squarely. Waiting calmly and showing nothing of fear in his stature. He was a monster of his own now, where Sero had embraced death as his mythological creature of origin, just like one of the four horseman themself in the flesh, Maigo had migrated into the deadly sins and tapped into their emotions for power. Wrath, Lust, Sloth were all proponents he developed within himself and now, he would show this person of death that he was no mere child anymore. As soon as he passed the burnt Tori gate he would be known. A powerful trespasser like himself could not simply be ignored. Though spiders roamed the dead forest they dared not approach this man. They could sense something about him that suggested he was beyond them. An alpha predator similar to their master. No spider was to brazen or foolish to approach him. Webs remained empty and nothing shifted near him. Before he reached the gate word had already spread of his arrival. Everything seemed so empty and dead. Filled with dread over this meeting between two beasts. The Stagnant air seemed thick with anticipation. Whispers of the unseen barely heard on the fog bank. Even as he approached the front door the world seemed unnaturally still and void of color. Awaiting his actions. Would he attack? What was he here for? Who was he some asked but few knew enough to doubt his intentions. One gone so long was fairly unknown. The island was on edge and so it should be. After all last the boy was seen he had been wounded but had managed to cut even Sero. Now his power had grown. What he was capable of could only be guessed at. Of course the whispers would reach Sero within his throne room. He had wished for this for some time after all. This boy he had punished for insolence he had not buried for a reason. Though he had likely made a mortal enemy that day lessons had to be learned. Loyalty had to be kept. He had punished the boy harshly that day but had refrained from killing him even knowing his potential. That this day might one day come to him. 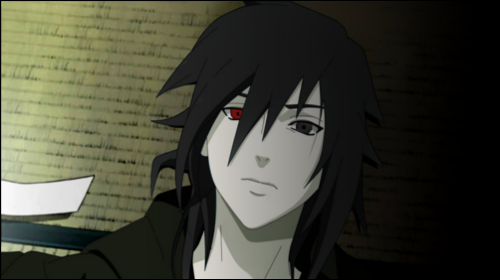 That this Uchiha would come baring his fangs at his door. He would rise from his throne in white robes with green hemming. White fur running from his right shoulder down his back and front to his waist. A metal breastplate protected only his heart and lungs but mostly just a simple piece of metal with the symbol for the hidden mist upon it. A version of the headband in its own way. On his hip was a single large sword. Designed for breaking simple weapons but for most unwieldy. He had been practicing wielding it with one hand as his left sleeve sat empty and unattended. If ever there had been a time to attack him it would be now when he was still vulnerable. Outside the man would stand having shouted his demand. For a moment all was still before on top of every statue a green flame would appear. Lighting up around it with a green glow as the fountain would light aflame green as well. The entire fountain burning where there should be water like its own pyre. Thick green mist would begin to pick up and swirl around the man as it cut off vision from the manor and the road leading out. The mist seemed to flow and shift back and forth like it was breathing though the green flames lit the area around him very well and seemed to hold the mist at bay for the time being. Still he would feel that presence he had been away from for so long. The sensation of a monstrous thing beyond human and somehow less than would be felt all around him. Weighing down on him even for all his power like it was just out of sight. But it was there and it was hungry. Watching him with the eyes of the grave. Less than a shadow on the grounds and more than the beast from the forgotten city beneath the sea. A voice would call out. Void of emotion and directionless as it was echoed with whispers from every direction. "I would welcome you home boy but your tone leaves a question on the tip of the tongue. Drying the throat and leaving me on the edge of my patience. I am lord of this domain and you would do well to recall that. What is it that brought you here Maigo?" Maigo paused for a moment, the air seemed to shift suddenly and like an all too familiar sensation, the hair on the back of his neck began to raise. The statues around him would burst forth in omniscient energy and burn in a green color as a mist swarmed at the fountain and began to cut off his vision. Maigo could feel the suffocation start to weigh again, in form as it seemed Sero wanted to make an impact. It was beyond the normal, he felt it and like a genin he would again feel that helpless horror, thinking he was ready for it finally and could confront him on equal ground. It was still ringing in his mind as Sero would take his form and take control of the mist, that perhaps he had been holding back on Maigo for such a long time, that this was closer to his true self and yet, was this all he had to offer? It almost made Maigo cower while his right hand tightened into a fist and clenched even beyond that, his golden eyes traced over the scene before him and the voice called out to him, commanding as ever and devoid of tone. It was like a voice that spoke from hell on its behalf and yet, was too familiar to be the worst of it. Maigo took a calming breath, he needed to break out and as Sero commanded for him to watch his tone, followed calmly by wanting to know the reason he was here, Maigo felt his anger lash out again. Almost tangible in the air as he had cultivated it for so long, possibly even years away from Sero as it would lash out against the monstrous feeling that was consuming the area. It would buy him a small amount of breathing room but Maigo would appear that he was focused, letting the words rattle in his head as he would exhale and reach down to the ground, his eyes flickered to the ground with him as well, trying to bring about the facade that he wasn't affected. His fist had loosened as his hand reached down and cupped a handful of earth before he rose back to his feet and began to let it fall, sifting between his fingertips slowly. "I suppose that domain is a good way of putting it..." his words would fall far less confrontational and closer to a more introspective tone. His mind clearly wandering carefully around what he wanted, no... needed to say to the man or monster before him. "It's been some time Sero... the last time we were face to face I did everything in my power to strike you down for your actions and you swatted me down like a fly." "I don't resent you for it, not anymore... for a time I did. For a time it compromised my very existence, sitting in an abyss and left to ferment in it. But then I had a thought, of what really mattered to me. That thought didn't take form or shape for a long time, months before I could even put the words together as I recovered from needlessly gruesome injuries..."
"I thought about what I was and am. I thought about the village and what made it important. Why the dirt on this island," Maigo would turn his hand and let the remaining dirt fall emptily from his hand before his eyes and full attention would turn back to Sero himself. "Is any different from the dirt that the village stands on." Maigo would exhale almost like he were sighing. His eyes would soften as he would glance intently on Sero's stature and movements, anything that would gleam towards the thoughts in his head or how he would react. "I have an answer to that now, in a way at least... but I want to hear it from you truthfully. Why you didn't kill me there, why you decided to impart that lesson, and what that lesson even means... Since I've been gone I spent a long time in Kumogakure no Sato in the wake of our hostilities and found myself with a good life before piece by piece it was broken down. I fell into darkness and made far more violent and brutal decisions in my time than the one you imposed upon me. I don't even realize how far I take it half the time..." his eyes would begin to glance down as if he were almost ashamed of the thoughts and flashbacks of himself in his mind. "So what is it then, Sero. Why is your dirt worth more and why do any of these decisions matter. Or are you wrong, and your lordship over nothing but the dirt and ideals equally as antiquated?" 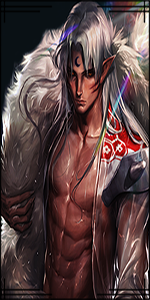 there was almost a growl of impatience in Maigo's voice, his teeth not quite gritting as he threw the words out and seemed to step back from them, waiting immediately for whatever reaction he would get, on guard and ready for the monster to lash out instead. An almost understandable reaction for someone who was notorious for killing others with far less reasoning and far less patience than he'd already shown Maigo. Sero would listen patiently. Standing where he was as still as a statue and thus blending in with thin within this green mist. The boy certainly had a lot to say. A Sero had predicted that he would. People liked to speak and as he grew older he had begun to realize more and more and assimilated himself accordingly. Learning to listen and observe more than he spoke in return. However the real questions were being asked now. Why had he let him live? What made Sero holier than thou? All interesting assumptions but he saw how they could be drawn from their past interactions. However Sero had not punished him for his brutality. Sero had put him in the hospital because the boy had chosen to stand with the enemy in some misguided attempt at his own justice. Still how the boy chose to recall it was up to him. It was however why Sero had to be cautious. He knew the boy was an Uchiha and he could feel that he had grown stronger since they last met. Uchiha were not to be underestimated. Even as an ally there was a history of betrayal and a vicious cycle of slaughter to those who grew too complacent. The mist would seem to split as to reveal Sero standing between him and the manor. Right hand resting on the hilt of his sword as the green fires seemed to flare up violently. Shifting the mist into a retreat for a clear view for a couple dozen meters. Sero would now look upon him with those dull grey eyes. Though something was different. He was just as fearsome as ever but now he was missing an arm. His left arm to be exact. This invincible monster had been maimed. Even if it was by his own hand this made him far more mortal in appearance. Around them though indicated that he was not alone. Standing along the forward wall or even crouched on a statue were members of the Unmei clan. A guard of sorts bent on not letting this being near their lord. Their creator. The clan had been subjugated by his daughter and now guarded these lands. Of course none of them were a match for this Uchiha but their numbers and Sero there left the idea of attacking a poor one. Though still feasible maybe. Still Sero would bend down to scoop up a handful of the soil and lift it up before letting it slowly drain from his grip into the stale wind. Drifting away before he spoke in return. "The soil here is cultivated by what we give up for the nation. Our humanity pushed aside to serve without care for our lives. We are but beasts to these people. Avoided, feared, and hated. Anything that causes fear in the hearts of man, even should it target your enemies for you, will always be hated. Humans, they despise what we are and still we serve them. Our soil is filled with out blood and sweat. Filled with the blood of the nations enemies and bodies that will never be found. Our empire is one of loyalty at all costs for the law of Kiri, I spared you because despite a choice you made to stand against the good of the nation, you are like us. A beast like us. You belong with us Maigo. All you need is a sense of focus. To be directed properly. I punished your decision because it put Kiri at risk and you needed to see this. I did not kill you because you could potentially be one of Kiri's greatest avengers." "Sero! We need to talk!" It wasn't every day Haka was witnessing the appearance of a presence bold enough to speak like that to this domain's lord. The voice sounded vaguely familiar, a lingering memory of a recent past, but she'd require to spot the man to know the man. While Haka cared none for the way they spoke to her father, knowing well that the Creator himself would beat the impoliteness out of them if he felt the need to do so, the rare occasion drove the Aranean Queen to sufficient curiosity to take a peek at the whole ordeal unfolding within the lingering mist. 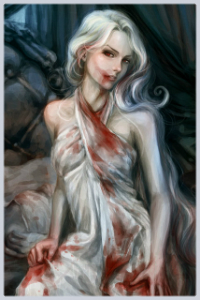 Rolling out the luxuries of her own bed, where Sero would leave his throne room to reveal himself, Haka would briefly turn into a mass of mist as she passed through the window of her bedroom and rematerialsed on the other side, feet and hands clinging to the outer walls of the stone manor. As she climbed towards the roof, her apathetic gaze overlooked the area. She could see the vague figure of the shouting visitor in the distance, recognising him as the man with whom she had hunted in Sunagakure - Maigo. A Hunter-nin with whirling eyes. Once she had reached the roof, she'd position herself in such a way she was sitting rather casually. At first, she had no intention of intervening in Sero's business but as his voice echoed and a certain hunger surfaced to reality, she felt... irritated herself. As if a darker intent called her to attention. Similar to a hivemind nudging her to action or an emphatic nature urging her to display the same dark desire as the one sending out this urge. But the truth was that all Unmei understood that this was the Will of the Dark Father manifesting in their own mind and blood. Not just his acknowledged daughter ruling over the Spider clan had appeared. Other Unmei and spiders were lurking, just slightly within sight to let Maigo know not to disregard them. Their conversation would continue without any of the spiders interfering between greater powers. The young too weak and scared, the elders too cautious and learned not to move until told. As she listened, perched on the roof other manor in silent patience, Haka picked up other pieces of the puzzle of the enigma that was her father. The reason why Maigo had called out so casually to Sero was because he knew him. A student of the dark lord, or perhaps one of the few victims that had survived his terrors. The truth was quickly revealed. A monster in his own right, a brother in the demonic darkness so loathed and feared by mortal, burdened minds and hearts. Haka could not say this wasn't so. She had seen him in action in Sunagakure. A blazing passion which had only surfaced when they ran in to kill the mass of forces trying to swarm towards one of Kiri's camps. A killing intent so powerful that it had suffocated the immediate vicinity to a point it overwhelmed the senses and denied her to perceive his true form. And yet, Sero seemed to eschew the idea of welcoming him home in favour of a hungering desire which thrummed through the essence of every arachnid on this island. Treason. Exile. Redemption? "Kiri's greatest avenger..." he would speak quietly at first, still chuckling before his head would move up and he would look onto Sero himself, aiming to make eye contact with him for the first time in many many years, possibly ever, knowing that to make eye contact would be to stare into a void-less pit. "My humanity wasn't cast aside in service of our nation. My humanity was stripped away from me, as others tried to direct who I am..." his eyes would slowly spin through each of the stages of the sharingan before the Mangekyo Sharingan would appear, 4 arms of the pinwheel and slowing even more to a stop. Sero had been there the day that Maigo's eyes had shifted into the full three tomoe version but he was beyond even that now. The small pang in his eyes as he could feel the damage he'd done to them, twitches at the peripheral of his iris if Sero would notice it. But for now, Maigo would let his Sharingan stare back into the void-less pit of Sero's own eyes, knowing that what he see couldn't be more empty or terrifying than the events that brought him to where he was now. While his Mangekyo Sharingan was active, Maigo was no longer scared and more encompassed by the anger that allowed him to attain these eyes. "But all this doesn't mean I plan to forsake the village for myself. It's in that despair that I realized the same thing you say, but in a different light. The importance of people and protecting the nation. 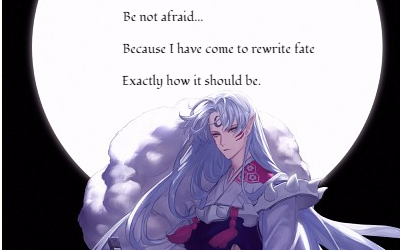 And as long as I am the way that I am, then I'll embrace my depravity for and protect the nation, for her sake I'll become whatever weapon the village needs." He would leave with an almost silent pause, letting the words sink into his own heart as he had finally said them aloud for the first time. Understanding Sero's decision to kill his friend, the brutality behind it and getting a glimpse at why he allowed Maigo to live would be enough for the time. He still harbored the grudge but his past was a shackle, and letting the shackle of old friendships threaten the village wasn't acceptable. Maigo needed to learn that, had taken it in and digested and now, he was a monster but fully ready to embrace it. "So then, where would you direct me, what's next on the long list of being a monster within this nation?"